Have you ever thought of Jesus as an artist? Think about the rhythm of the Creation account at the beginning of Genesis. The God of the entire universe bent down over the dust of the earth (raw material), scooped it up as a potter takes clay, and began to form and shape it. He then breathed his message of truth, life, and the way into the lungs of Adam, and God’s very own masterpiece came to life. Not only is humanity a work of art, but we also carry a message. Invested into us are the words of our Creator. This is true of all of Creation. God fashioned all things either from the dust or out of nothing. Therefore, just as an artist begins with an idea of the mind and then turns it into a passion of the heart, which then becomes a real work of the hands, the God of the universe created in the same manner. Thus, the mind, heart, and hands of God shape everything we see. Everyday, we behold not mere “matter” but rather the mind of God. So why did God give us His art? Why did he not just create humans and be done with it? The answers to this question are vast, but I’d like to hone in on one aspect: I want to zoom in on how Jesus used parables. Jesus saw the world in simile and metaphor (1). The human simply cannot comprehend a kingdom and way of life as vast as the one in God’s Kingdom, so to describe what He and His home are like, he compares things in his kingdom with things that are familiar to us here in the creation. In Jesus’ mind, all of creation points toward something truly “real” in his most true kingdom. Thus, we can look along all of creation and make inferences about what God’s future world will truly be like. The examples are numerous of how Jesus teaches this way. For example, in Luke 13:19, the kingdom is compared to a “grain of mustard seed that a man took and sowed in his garden and it grew and became a tree, and the birds of the air made nests in its branches.” In verse 20, he compares it to “leaven that woman took and hid in three measures of flour, until it was all leavened.” If one examines Jesus’ uses of metaphor and simile here, he’s trying to tell us that the kingdom is unassuming, unnoticed, small and almost obsolete, and easily missed. However, if one takes time to nurture the seed that most miss, it will grow into a tree that far surpasses the successes of this life. This is beautiful imagery. 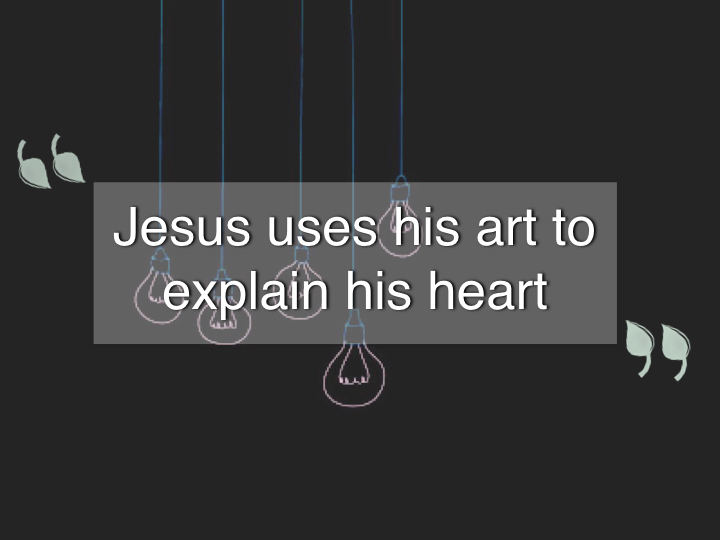 Jesus is using his art to explain his heart! He carefully planned the mustard seed, the leaven and the bread, and everything in all of creation, and here he utilizes his art to explain his deepest truths. I particularly like his use of parable, metaphor, and simile in Matthew 13. Again, he compares the kingdom to a sown seed that grows into a plentiful crop for those who “hear (2).” He compares the kingdom again to yeast (3), a hidden treasure in a field (4), and a net cast into the deep waters resulting in a large catch of fish (5). In a typically Jewish way, Jesus strings together a sequence of stories on a thread like a beautiful pearl necklace in order to explain one linear thought. Notice in the parables of Matthew 13 that they all hold something in common in their use of imagery and parabolic nuance. In every story, Jesus alludes to something that is “buried:” the treasure, the net beneath the sea, the seed, etc. Jesus is using his artwork of creation to explain to the world how his kingdom will come. It will come through His own timely death and burial. Jesus explains to his disciples here that his burial will end the death and tyranny of this life and will inaugurate a kingdom that will start seemingly obsolete and insignificant, but it will grow into a great promise and consummation. Indeed, Jesus fulfilled these parables in part through his resurrection and ascension, but he will complete them further in his return at the end of this age. Notice how Jesus uses art. He uses it to point to himself. We learn here that the kingdom of God is not merely something God brings, but it is something God IS! Jesus always ensures us with his story that all we’ve experienced in this life and historical timeline is pointing not only to the destination he’s prepared for us, but the man of Jesus himself. The kingdom truly is not just about results; it is most importantly about a man! Jesus! 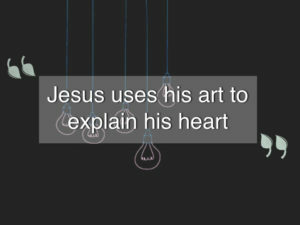 It’s intriguing to think through how Jesus alludes to his art in teaching his most profound messages. It bears profound implications upon those who create in all realms of society today. What we create not only reflects our beliefs, but we hide a bit of ourselves in it, as well. We cannot help, in all we create, to build a vision for a kingdom of some kind. 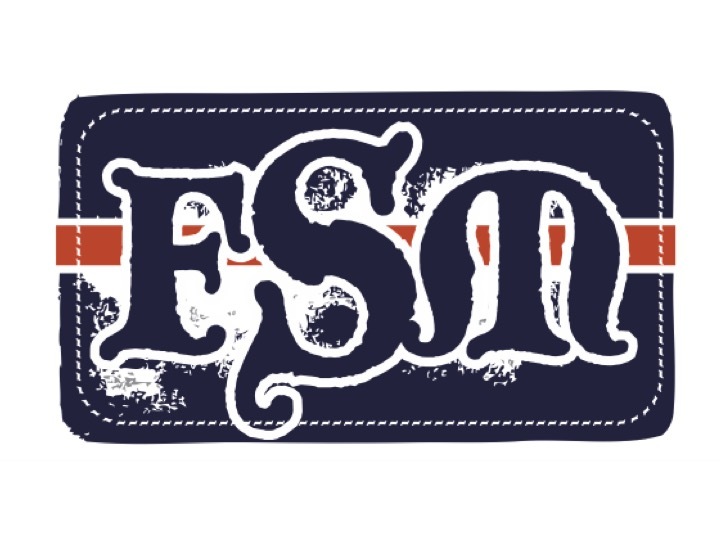 The only question is, to what end do our created works, imagery, metaphor, and simile point? 1. A metaphor is a figure of speech that identifies something as being the same as some unrelated thing for rhetorical effect, thus highlighting the similarities.